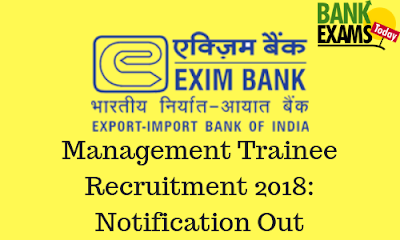 Export-Import Bank of India, an all-India premier financial institution, has recently released the Notification for Management Trainee posts. Rs. 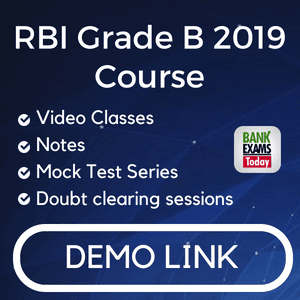 600/-(General / OBC candidates). Rs. 100/-(SC / ST / PWD candidates). 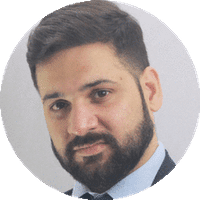 Post Graduates in Business Management or Chartered Accountants (CA). The Post-Graduate course should be of a minimum 2 years full time duration. In case of CA, passing the professional examination is sufficient. Minimum 50% aggregate marks in both Graduation and Post-Graduation. Fresh post-graduates who have completed/passed their post-graduation in the recent past OR candidates who have appeared for the post-graduation examination and are expecting their results in the year 2019 are also eligible to apply.